Mana has made magic boring. 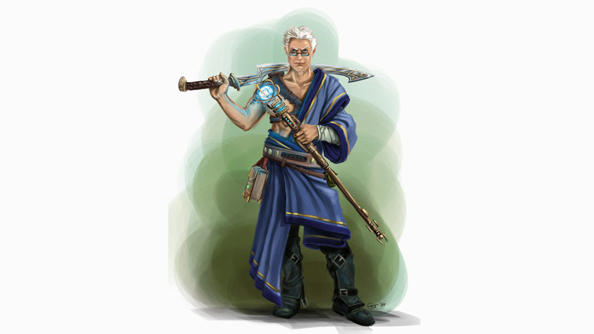 At some point in the recent history of RPGs, spells became something you spooned out of a generic pool over the course of a battle – powerful ranged attacks you fired off every 30 seconds instead of every three, but otherwise no different to bows and arrows. 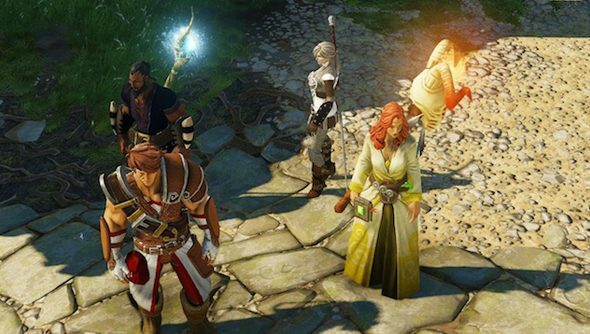 Spellcasting deserves better – and it took Divinity: Original Sin to make clear what we’d lost. 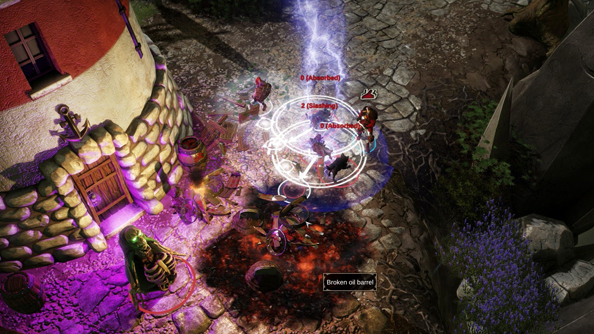 In Larian’s throwback masterpiece, magic is an ill-advised meeting of ego and academia – an exercise in experimentation as likely to blow your party to oblivion as win your battles. Original Sin is an RPG in a very old sense: a scripted story, yes, but also a mass of interconnected systems. It wouldn’t be accurate to compare it to a clock: leave its mechanisms be and they’d remain static for eternity. Instead, Divinity is a snow globe – a perfect model that appears wonderfully alive once you give it a shake. Stick a finger into its world – or a knife into the local mayor – and you can watch as NPCs come running or make quick exits, each according to their own role and personality. Nowhere is that reactivity more apparent than in Divinity’s spellcasting. The game starts players off as source hunters – inquisitors sent to find and hunt down unlawful magicians, because their use of powerful magic threatens to tear the world apart. And as you begin to cast spells of your own, you can see why. The effects of throwing a simple hex can vary wildly between castings. That’s not because they’re randomised, but because every spell is a coagent waiting to react with a changing battlefield. A humble fireball thrown into a poison cloud can set off a series of explosions. Or perhaps it’ll melt ice into water, ready to be electrified by a lightning bolt. Even the littlest orc commands a hefty chunk of hitpoints – and so combining the elements becomes the only means of assuring victory. But it’s an inexact science, and Larian take a light approach to tutorials. So inevitably, your first combo inferno will be a complete accident caused by a nearby torch or passing demon. Working out exactly what’s gone on is a matter of poring over the combat log, which reads like Dwarf Fortress. 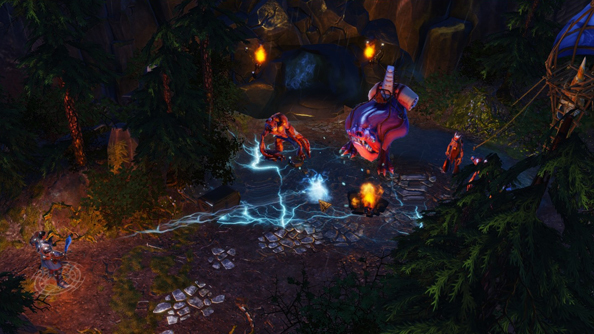 Yes, that jolt of electricity stunned a cluster of soaked skeletons as planned. But who knew the current would flow on into that adjacent pool of freshly-lain blood? Certainly not the hapless companion standing in it. This is how Divinity reestablishes wizardry as an act of learning – not just through levelling and acquiring the skill books needed to cast new spells, but in asking players to understand the interplay of the game’s many systems. The learning never stops. More than any sourcerer shenanigans in the main plot, the pursuit of knowledge comes to drive progress in Divinity. As you begin to get a grip on the elements, it becomes apparent which spells and scrolls you’ll need. Scrolls need to be assembled from paper, ground bones and plant parts – and a lack of resources leads to an academic kind of selfishness. What herbs might the cook have in their kitchen? What good is a femur doing in a grave anyway? Original Sin remembers the wizard not as a flamboyant figure in the centre of the battlefield, but as a bit of a nerd. Bookish, because books are where their power lies. Detail-oriented, because the wrong word at the wrong moment can mean setting their friends aflame. And standoffish, because they’ve got one eye on the stack of A4 in your study. As in the very best fantasy, magic in Divinity isn’t something that can be swapped out for high-tech hackery or The Force. It’s deep and dangerous work that’ll set your hair on end if you’re not careful. And it’ll give you more than a cooldown to think about. If you’re happy to remain a glorified archer, fire away. But if you find the prospect of dabbling in things probably best left alone more exciting, well – we’ll be the ones in the library with singed eyebrows.